Local store find, only $14 after a trade-in of unsold garage sale fodder. This is the first time I’ve seen a copy of Widget locally. Captain America is a tough find on the Game Gear too. 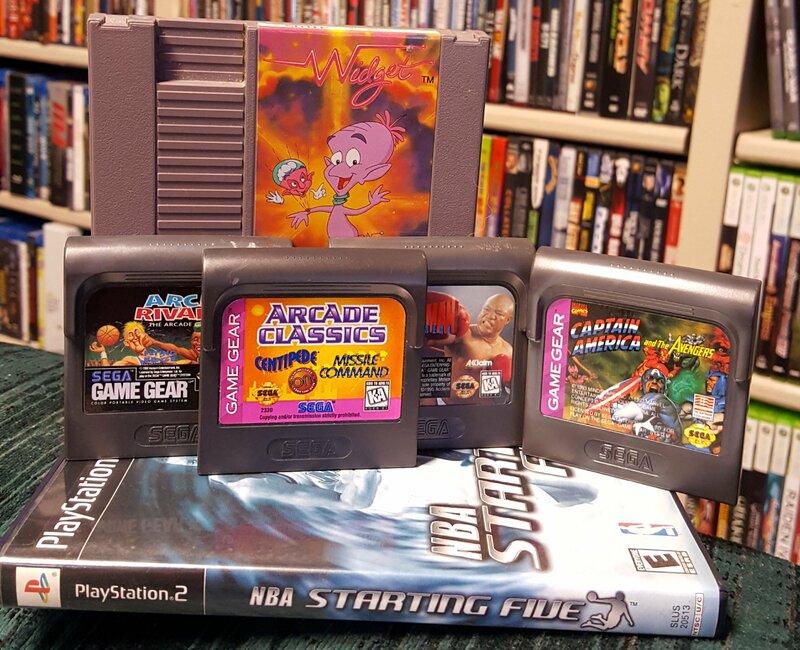 All in all, a fine selection of games and a great deal. The EIGHTH (!) retro game store in the city has opened, offering this haul. 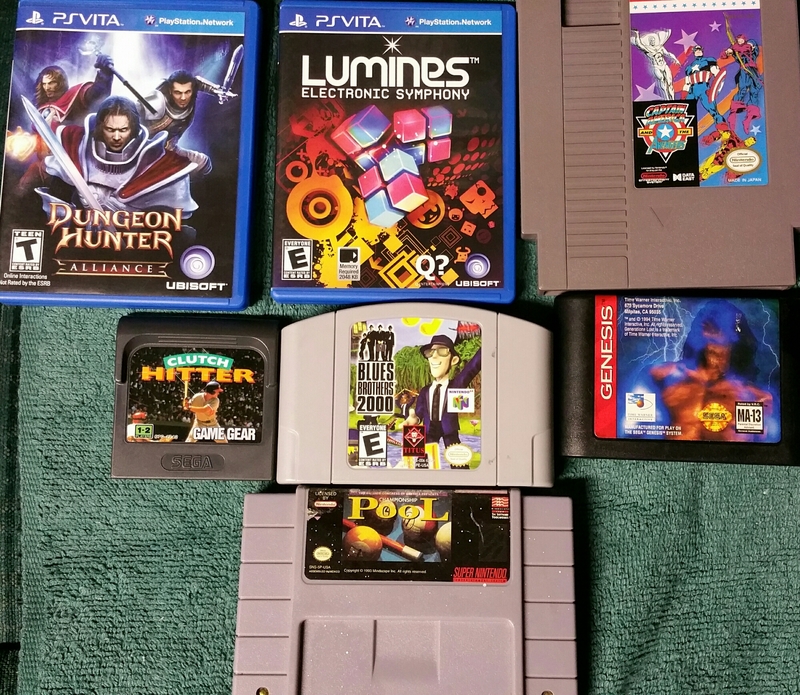 Prices were fair – $30 for the lot – but fell back on eBay pricing for most. Robocop vs. Terminator is one I can finally scratch from my want list. With some DVD trade-ins and B2G1 free sales, this mixture of GameStop and a local chain store finds only cost me $26. Captain America on NES was a permanent resident on my wanted list, but with the explosion of Marvel films and general absurdity of current NES collector pricing, it seemed like a long shot. This cart was listed at $25, but with the trades, it was only a pittance. Note I don’t generally recommend trading in. Whatever the store in question is actually charging on their floor, that’s what you can generally get by doing a little online footwork. However, when you begin building up a lot of worthless titles from buying in lots and such (DVDs like Mortal Kombat Annihilation, games like Swing Away Golf PS2), dumping them on a store can be beneficial for a short burst cash infusion for that rare gem you’ve been looking for. “Meh” local store find, $10 for both. Thomas is an oddity, hitting the SNES before the Thomas phenomenon took off making it a minor rarity – of little value.